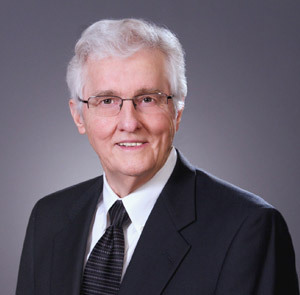 Throughout his 40+ year investment and brokerage career in the greater Houston area, Joe E. Evans has developed an enviable track record for creating and enhancing value for clients and investors. Evans Properties was formed in 1971 as a vehicle for brokering and syndicating land investments in the outlying perimeter of Houston. Notably, Evans pointed his investors toward the Katy area and the Northwest Houston area, at the FM 1960 corridor, at a fortuitous time, prior to large-scale development taking hold. These early investments showed tremendous appreciation in a relatively short period of time as the developers’ interest on those areas magnified. As a native Houstonian, Evans was able to leverage his broad knowledge of the city with his extensive real estate experience and thereby garnered a client base that benefited from his expertise in the marketing of properties on a local and national scale. Evans distinguished himself early in his career by providing an uncompromising level of service in the acquisition/disposition of properties ranging from small acreage to large institutional portfolios. Services included site selection, transaction negotiation, lease evaluation, and finance analysis. The perpetuation of growth came from Evans’ stellar reputation for honesty and integrity. This has allowed him to foster a real estate firm that has consistently delivered positive results for a very loyal client base through all economic climates. In 1990, Evans negotiated the purchase of the Halbouty Center located at 5100 Westheimer for a Hong Kong-based client. Soon thereafter he formed Evtex Management Corp. for the purpose of managing and leasing the assets of a diversifying client base. Evtex currently manages nearly one million square feet of office and industrial projects in the greater Houston area. In 1991, Evans procured the acquisition of 2620/2630 Fountainview for the same Hong Kong client. He then commenced with the supervision of an extensive redesign and renovation of the project. Upon completion he implemented an aggressive lease-up program that brought the building occupancy from 25% to 90% in a 24-month period. Over the decades, Evans has developed extensive experience in the sale and purchase of land, industrial properties and office buildings. He has represented an impressive roster of local and national clients. Some clients include The Wing On Company (the largest retailer of dry goods in the Far East), Allright Parking, Cy-Fair Federal Credit Union, Independence Bank, ABC Supply, Hilliard Family Trust, the Estate of James J. Johnston, Showcase Custom Vinyl Windows and Doors and Hendricks Properties.